Immediately Recover SQL database from .mdf and .ndf files. SQL database repair utility helps to recover all the database objects of the MDF file such as views, tables, stored procedures, functions, rules, triggers, etc with their schema and data or schema without data. The SQL Server recovery software having a dual scannig option, one is Quick Scan and the second one is Advance Scan. Quick scan mode recovers data very frequently and Advance Scan option is used to repair damaged SQL database. Software can easily recover SQL database from .mdf (primary) and .ndf (secondary) file without having any interruptions. It can also recover multiple NDF files at a time with having any size. When you need to recover SQL database from mdf file, use the SQL database recovery tool that doesn't make any changes to the original data structure of the file as it was before recovery and maintains proper data integrity of the file as originally. The SQL database repair tool runs on SQL Server versions 2000, 2005, 2008, 2008 R2, 2012, 2014, 2016 and 2017. Also you can launch the tool on Windows 10 Operating System. After the completion of the recovery process the SQL database recovery tool shows preview of all the recovered items and user can save them directly into the live SQL Server by providing all credentials like user name, database name or password etc. Does the SQL Databse Recovery tool has any limitation on the size of database File? No, the SQL database repair tool can recover .mdf and .ndf files of any size. Can I repair SQL database marked as suspect or corrupted? Yes, the tool also restore & recover database from suspect mode in SQL Server. 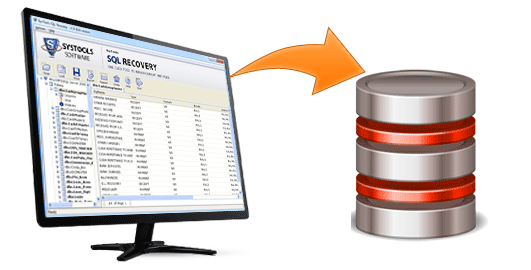 Does SQL database recovery software recovers deleted table & its data? Yes, the tool recovers deleted SQL database, only if they aren't overwritten. Is this tool exports SQL Scripts and selective SQL files? Yes, the SQL recovery software has an advance feature to export SQL Scripts and selective SQL files, the tool also supports primary and foreign key. Does the tool recovers multiple .ndf files at once? Yes, software helps to recover multiple NDF files and folders containing NDF files. Does this SQL database repair utility supports XML data types? Yes, the tool supports user created XML data types also. The team members of SQL Server database recovery software are amazingly technical and friendly too. I contacted to the team when I was unable to restore the SQL MDF file, then the help they lend is really appreciable. It has user-friendly features which recover data in a decent way. I want to thank you, for developing this SQL database repair utility. We had a damaged database, including the backups. Your application resolved many of the issues we were encountering. We were able to get our system back up and running within hours, without data loss.